Evaline Atto is on a mission to encourage greater equality in farming families by ensuring that women farmers in northern Uganda receive payment for their crops alongside their husbands. This story is part of our month-long #SheFightsPoverty blog series in honor of International Women’s Day 2017. Evaline Atto, who is responsible for signing contracts with farmers on behalf of agribusiness GADC, isn't afraid to get her hands dirty in the field – or to champion gender equality. I remember clearly the moment I met, or rather didn’t meet, Evaline Atto, a field officer and buyer for the Gulu Agricultural Development Corporation (GADC) in northern Uganda. We had agreed to convene under a mango tree – the designated meeting place in her village – at 9 in the morning. Yet when I arrived at the tree with her supervisor, the wooden bench was empty. 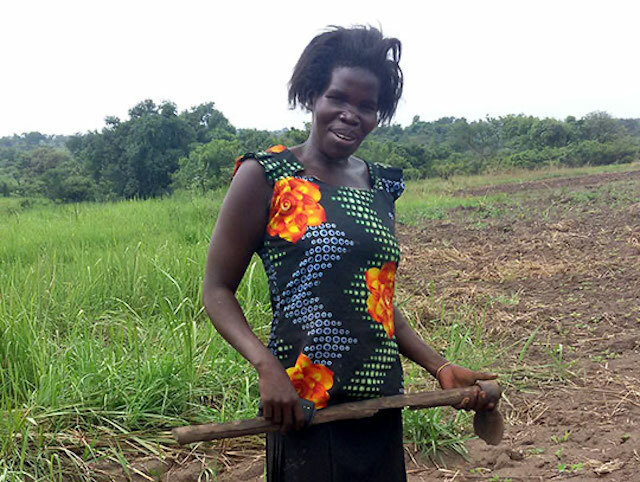 Evaline, as her supervisor discovered, had decided to join several of the lead farmers she manages at nearby training demonstration plots, and enthusiastically suggested that we join her in the field. I liked her already. We set out across the fertile brown mud to find Evaline. Over the previous few days I had been meeting staff and contract farmers of GADC in my role as gender advisor for the TechnoServe Coalition for Smallholder Sourcing. TechnoServe and GADC are working together to find ways to increase the amount of cotton, sesame, chili, sunflower and maize that GADC purchases for the export market from approximately 32,000 smallholder farmers. Being a contracted farmer to GADC is a critical pathway out of poverty – it gives farmers the training and support they need to be able to grow and sell commercial quality crops to a guaranteed buyer at a fair price. We were specifically looking to find ways to increase the number of female farmers selling their crops to GADC. We found Evaline ankle deep in mud tilling the field with a traditional hand hoe. She was working alongside one of her lead farmers, Wine Adongo, who was cultivating the demonstration plot with her baby asleep on her back. Evaline manages 16 lead farmers, including 10 women, who are directly responsible for training over 400 farmers supplying to GADC. 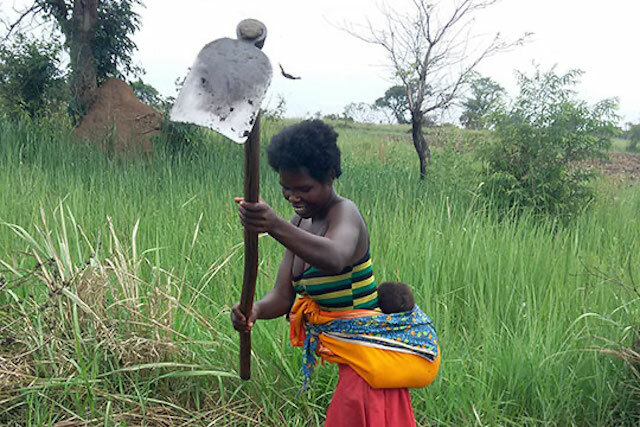 Wine Adongo, a lead farmer for GADC, works on a demonstration plot in northern Uganda while her baby sleeps on her back. Evaline is passionate about contract farming and the power it has to transform lives. She is actively working to make sure that both women and men sign contracts to sell their produce to GADC as she strongly believes that the family as a whole benefits more when both the wife and husband are engaged in income generation. Her belief is backed up by research: The World Bank has concluded from studies carried out around the world that if women’s control of household income increases, then children benefit through increased spending on health, nutrition and education. Cultural traditions are the biggest barrier to women signing contracts with GADC. 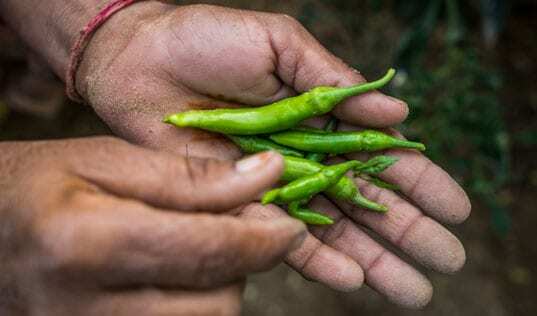 Men, as the land owners and household heads, are expected to manage the household’s crop sales. GADC works with the community to overcome these cultural barriers. Unfortunately, as I found out through my previous days’ discussions, even though women were increasingly signing contracts in their own names, their husbands continued to leverage their cultural entitlement to sell the crops. In this way, the husband was receiving and controling his wife’s money. “It creates enormous conflict in the household,” Evaline noted. 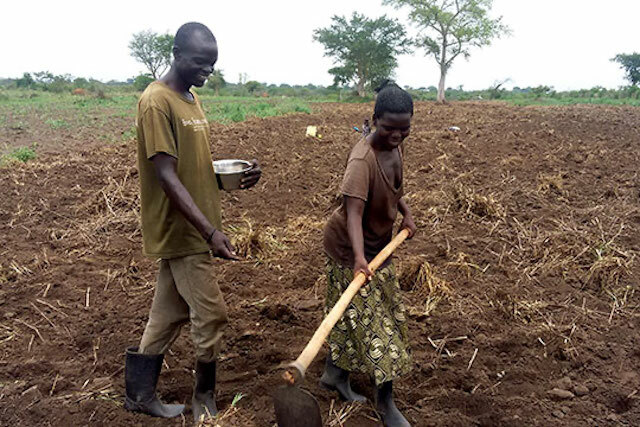 Lead farmers Francis Okello and Margaret Achon are a married couple who work with Evaline to train farmers in GADC's supply chain, while modeling how a husband and wife can work well together. Evaline believes that it is her job as a field officer to model a more “equal partnership” for husband and wife. 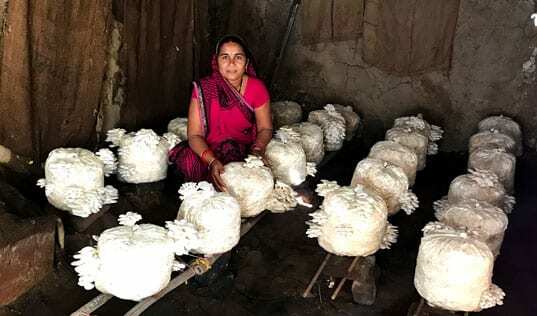 She does this not only in her own household – her husband is a lead farmer – but she also makes an extra effort to hire other husband-wife couples to be lead farmers. “It role models to the community how husband and wife should work together and the benefits it brings to the family,” she explained. 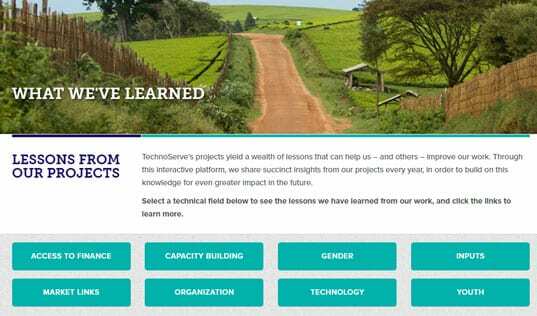 TechnoServe shared Evaline’s case study with GADC management and they were impressed that she had developed a viable solution to what they had considered an almost intractable challenge. With TechnoServe’s support, GADC is currently piloting Evaline’s approach of buying strictly when both husband and wife are present in other regions. TechnoServe is rigorously measuring the impact of this pilot on GADC, the contracting farmers and their families, with a view to further scale up if it proves successful.